This week’s motoring maladies include conking out, dumb dealers, adding Blue, puncture repair fits, supercharged limos and quite a lot more to occupy your attention while the grass on the lawns gets longer. I read again today, you suggest that turbocharged engine should be idled for a short while to allow a little bit of cooling through the turbo bearings before shutting down. How does that fit with the auto stop/start facility fitted these days, which is forever stopping the engine when the car stops during a journey? I have a 1 Series BMW, and I always turn off the auto stop/start. I don’t like the idea of using the starter motor so much. I also don’t like sitting at lights without the engine ticking over, ready to pull away. I doubt if it saves much fuel as the engine is slightly over fuelled during start. Or have I got it all wrong? Most auto stop/start systems have heat sensors so they don't shut the engine off if the turbo is too hot. I agree. They are irritating. And the delay irritates the driver behind. My partner hired a Peugeot 2008 a couple of days ago. Apart from a slightly bumpy ride on poor surfaces, we thought it was a reasonable car and quite quick (it was a 1.6 diesel). Being a bit of a car ‘geek’, I decided to check on the power output of the car. Didn't get far with the Peugeot websites, but I did find out from elsewhere that the newer 1.6 is available in 100 and 120HP forms. I phoned my local dealer today to try to find out which one we drove. They couldn't tell me. So I rang up Peugeot UK with the same question and they couldn't tell me either, even though I supplied the reg, trim etc. Unbelievable. There are actually three diesels: 75HP, 100HP and 120HPm but you don't want the diesel anyway. The 1.2 Puretech 130 (with 230Nm torque and a 6-speed box) is by far the best. Followed by the 1.2 Puretech 110 EAT6 auto. Both come on Goodyear Vector 4-Seasons all weather tyres that give a softer ride in addition to the cold weather benefits. I would advise anyone considering a VW/ AUDI TDI AdBlue based engine to avoid them. Any supposed fuel efficiency is an illusion with this kind of engine; additional servicing bills kill any advantage plus fumes come into the cabin. Our VW Sharan has been like that since I bought the car and the strange paraffin type smells seem to be linked to the ‘’additional heater''. It is a shame because otherwise it is a good car. But all the same a major design flaw. I have never had a vehicle where fumes come into the cabin. VW needs to rapidly rethink its design. Unfortunately there is no viable alternative petrol engine for this car. Lots of problems reported after the NOx emissions fix. In the UK, AdBlue normally retails at between £14 and £16 for 10 litres. I experienced a puncture this morning having only driven a few yards from home before realising that I had the puncture. I used a ‘Tyreweld’ puncture repair kit. The tyre reflated successfully and I then drove to a local tyre dealership in Margate: Watling Tyres. On explaining that I had used the Holts ‘Tyreweld’ to effect a temporary repair, Watling Tyres said that they were not able to repair the tyre, claiming that their liability insurers will not allow their chemicals to mix with Holts. Watling Tyres offered to order a replacement Goodyear Efficient Grip 225/55R16 95W tyre at a cost of £110. I then tried National Tyres in Margate who also declined to repair the tyre and then tried Kwik Fit in Margate who also declined. In the end my only recourse was to book an appointment to have the tyre replaced at Kwik Fit at a cost of £96.50. I bought three Holts ‘Tyreweld’ kits (one for each of my cars and one for my son’s) because it guaranteed that following its use the tyre could be considered for repair (I understand that a repair might not be possible if the tyre was damaged beyond repair), but this is obviously not possible if all the main tyre fitters refuse to repair a tyre which has had “Tyreweld” used to stop a puncture. I would be grateful you could warn your readers. Thank you, but it's been done hundreds of times in emails back to readers, numerous times in the column, and here's my own experience: https://www.honestjohn.co.uk/our-cars/mazda-6-22d-se-l-nav-auto/hj-gets-a-puncture/ Tyre repair kits are completely ineffective 95% of the time because unless it’s a pinprick the stuff just spurts out of the puncture. The makers of water-based ‘Slime’ claim that the tyre carcass can be washed out after its use and repaired, but again, most tyre fitters would rather sell you a new tyre. I’m thinking of getting a 2005 - 2007 pre-facelift Daimler Super Eight as a post - midlife indulgence to supplement my splendid Rover 75 Diesel (which has featured in our previous exchanges). When I went to see one of these rarities, I was quite disappointed by the noise levels and lack of refinement - raucous at times. Is this normal for these cars? This was a 2006 71,000 miler, 3-owners, with genuine Jaguar service history. No reader feedback on the specific car. The noise is the shriek of the supercharger. Much noisier than a stock JLR V8. They crop up occasionally at classic auctions (even though they're not yet really classics). I’ve only ever been in a Jaguar version of one at MIRA, and a Supercharged S-Type R. Lot more experience of supercharged XF V8s. You can get the gen on Jags fitted with the engine in the entries at /carbycar/ But if you want quiet, go for the stock V8. My choice of new Golf 1.6 TDI DSG back in 2013 seems to have been a bad idea. (I purchased it for the long run, hoping to get 10 years out of it, which is why I forked out for some extras I really liked: sunroof, satnav and heated seats. What should I do? Keep it and take the risk? Or change it? I am loathe to spend much more than couple of thousand and my p/ex for a different used car. I do about 10k miles a year. I wish I had bought a petrol manual Ford Focus Ecoboost instead back then. Any advice gratefully received. If this is the current shape Mark VII Golf 1.6TDI then you don't have too much to worry about because it is very low NOx. But it isn't a good choice for a life of short runs from cold starts and the 7-speed dry clutch DSG transmission has a history of problems. Here's Gilf VII troubles so far: https://www.honestjohn.co.uk/carbycar/volkswagen/golf-vii-2013/?section=good/ A Focus Powershift is probably worse. I need to buy a minimum 7-seater car with space for pushchairs and a large dog. I have to fit 4 child seats so I think the likes of a Galaxy are out because the rearmost seats aren't suitable. Is the VW Transporter a good option and, if so, what should I look out for? I have a £15,000 budget. If you want a VW then a VW Caddy Maxi Life is a better bet than a Transporter. If that's not big enough then worth checking out a Citroen Despatch and the Peugeot equivalent. They drive better and are better built. In view of the general opposition and somewhat caustic opinion by public figures outside the car and journalism world, and in view of your own longstanding criticism of diesel, with its potential problems for owners, why oh why do car testers rate it so highly? It may be a fuel that gives a vehicle unrivalled performance, though according to medical experts with credibility it's a disaster, what's your opinion? Car testers are critics who are not necessarily aware of the prevailing mood of the public, so they simply make a personal judgement. I get around 100 emails and Asks a day so I am not only aware of what goes wrong with each car (and dutifully data-log them), I am also probably more aware than anyone else of the way the public is thinking. Over the last twenty years I have asked for and always received sound advice from you. With the passage of time, (I'm 76) I now have another query, because arthritis means that getting in and out of a low-slung car is a very painful. At present I run two cars: a 2006 C-Class Mercedes, and an old Wagon-R for local journeys. The Mercedes is a real trial to enter and dismount, but great for long trips, the Wagon R is bliss to climb into, though a bit hairy when driving at over 55mph. I am minded to change to a 2009-2012 'upright' Mercedes A-Class, noting your earlier comments about the pre-2009 model's shortcomings. Please, are there any 'sit up and beg' alternatives to the A-Class to fill both of the above roles? Road tax and insurance costs are important. Last Friday my Ford B-Max would not start. It is three years old and the mileage is under 10,500. My Ford dealer says I need a new battery. I find this hard to believe. Why can they not just charge up the one that came with the car? £208 for a new battery seems a bit rich and wonder if it is really necessary? What please do you think? The indicators throw up a “transmission” warning light. It started when I fired the ignition and pressed the fuel pedal harder. Is it manual or auto? A battery might only last 3 years if the car only does short runs because that progressively takes more out of the battery than it puts in and the battery gradually loses its capacity to hold a full charge. But £208 is nuts for a battery for a B-Max. Shouldn't be more than £60 for an excellent Yuasa battery and wouldn't be at a specialist tyre and battery place. I have one report of a B-Max needing a new battery due to draindown caused by moisture ingress to the parking sensors. Most problems with the B-Max have been with the Powershift automatic transmissions. I am looking to change our two family cars at the same time to meet our changing lifestyles. I have a 7-year old Toyota IQ that is too small for 2 girls and wife and shopping. I am thinking of changing this for a Jaguar S-Type or a similar size, low mileage BMW. I also have a 2015 B-Class Mercedes that doesn't have the high driving position we want for a family car. I am looking at changing the Mercedes for a SEAT Ateca, but unsure which model as we do 13k miles per year. The reason I am looking at an S-Type for my car is I want space and luxury, but with a low initial outlay. They tend to have low mileage for their age and I know they are usually trouble free to 100k miles. Looking for some sound advice or potential alternatives. I purchased a VW Polo Match 1.4 85HP petrol car from new in March 2012 and have had it serviced every year at the main VW garage in Bury Lancashire. It has just been in for its annual service at 5 years old and I was told that it is due for a new cam belt and waterpump at a cost of well over £400. In five years I have done a total of 22,400 miles. Can you advise as to whether this work is, indeed, necessary after only 5 years and a very low mileage or whether some time in the future would be an option? Very necessary and the £400 is not unreasonable for the whole job of belt, tensioner and waterpump. If any of these fail and the belt comes off, your engine will self-destruct. Wise also to have the aux belt replaced because that costs buttons in comparison and has to be removed anyway to do the timing belt. If the aux belt comes off while driving it can wrap itself around the unprotected lower timing belt pulley and take the timing belt off. I presently drive a 2005 Jaguar S-Type diesel, which I use to tow my caravan (MTPLM 1,275 kg). As the car is now 12 years old, I am thinking about changing it and have had my eye on an Jaguar Sportbrake 3.0 litre diesel. However, the prices are still more than I really want to spend and I have been looking instead at the 2.2 litre models. The 3.0 V6 version has come out well in towing tests and I wonder whether I would be disappointed with the smaller engine version, although the maximum power and torque figures are about the same as my S-Type. What do you think, please? We bought a Peugeot 3008 1.6 new in May 2014 with an extra: a spoiler the same colour as the car. Paint is now flaking off the spoiler, but the service dept at the Peugeot dealership where we bought it informs me that the paintwork on that part is only guaranteed for a year, whereas the rest of the paintwork has the full 3 year warranty and we will have to pay for any repair to the spoiler. It seems to be something to do with who they got to do the original spraying of the spoiler. Is this short sighted and bad after-sales by the dealer? Do I have a point or not that they ought to respray the spoiler for at least the sake of goodwill? I purchased recently an Audi TT roadster 3.2 V6 auto cabriolet. I have cancer and while it's stable and under control, obviously for me life is too short. So I brought this car for summer fun and play. It’s in great condition, drives well and I absolutely love it. My wife said I don't need any medication now; I'm just beaming. I took out a 3-year warranty that covers costs up to £1,000 for the next 3 years. The dealer has told me I have one month’s gearbox and engine warranty. Now the PRNDS gear light is flashing all the letters together. I have been told it's the ECU of the gearbox. It may be just a reset or need replacing. Any ideas? Suggestion, please? The TT 3.2 was actually the very first VAG car to be fitted with the DSG transmission (of which Audi later changed the name to s-tronic). Fully described here: /road-tests/audi/audi-tt-32-dsg-2003-road-test/ It's a wet clutch DSG in which the transmission and twin oil clutches share the same fluid. This fluid and its filter need to be changed every three years without fail, so that's one possible reason for the flashing light. (It's actually quite an easy job that could be DIY if you're a masochist.) Otherwise it might be the transmission ECU. Or it might be the Mechatronics. I'd get it attended to urgently by an independent VAG specialist. I have damaged two alloys going over a deep pothole. They are both on one side. Is it worth trying to put a claim in as it makes me sick how they were just left and never seemed to be filled in. I pay my taxes, so why should I have to pay for repairing them? I had an old car so purchased a newer SAAB estate car to travel the country before I was 70 years old. I paid for it in August 2015 by bank transfer, but was ill, and finally collected it on 1st October 2015 when I was feeling better. When driving back to Essex from Sandhurst I noticed the engine management light had come on and there was also some black smoke from the exhaust, which stopped when I reached a built up area. I drove it straight to my regular local garage, presented the car and was told to book it in for a diagnosis at a SAAB specialist garage. I was told that the smoke was likely due to the fact the car had been standing unused for a while. Due to ill health and because I already had another drivable car, I parked it with a full 12 months road tax and insurance. It stood unused for several months and when I felt better, the car passed an MoT. As I was not using it and because it had been standing still for a further period, I decided to sell it as I was not getting better. I took it to East London SAAB in Chigwell for a full diagnostics before I sold it to a friend at 99,609 miles, which was about 200 miles from purchase mileage. I compared the diagnostic report with the service history, which showed a new DPF Filter was installed at 98,793 miles at a cost of over £1,000. When I questioned East London SAAB after showing the service history, the service manager explained that no new DPF Filter had been fitted but the old unit cut open, stripped hollow and badly welded. I got the impression that the vehicle was not fit for purpose and it would be deemed to be illegal on the public road and the high estimate forced me to seek another specialist SAAB garage to carry out any work to make it legal. A SAAB specialist dealer based in Stevenage replaced the intake manifold for the smoke and installed a genuine SAAB DPF filter that was quite costly. I have tried to contact the previous owner who had this vehicle maintained by a garage in Sandhurst for years and paid good money for work not carried out amounting to fraud. No response from the previous owner. The mileage shown was 99,702 after the vehicle was finally restored to legality. My first response is that I was sold a car that was illegally modified and not fit for purpose and the repairing garage was dishonest. I now have doubts about any other jobs carried out, including timing belt change and replacement of other parts. Please advise what my options should be, including reporting the matter to Trading Standards? If you bought privately from the previous owner then you might have a case for breach of contract for selling you a car with emissions equipment illegally removed. The reason it passed the MoT test is that this is still no more sophisticated than a smoke opacity test. If is not a test that the emissions equipment is functioning correctly. I have a 2009 Agila with about 28,000 miles. I want a bigger boot and am thinking of a low mileage or ex demonstrator under a year old. I do 3,000 – 4,000 miles a year and want something not to expensive to run. I was thinking of a Corsa, i20, Jazz. Is there anything I shouldn't go for, or what should I go for? I have the Agila plus up to about £10,000. Quite a logical replacement is a KIA Venga or a Hyundai ox20, both of which have very good rear seat folding mechanisms similar to the Agila/Splash, and are similarly upright, but are bigger. As usual my wife reversed her Golf 1.4TSI DSG from the garage and was repositioning in our driveway; without pressing too hard on the accelerator. Suddenly, with no pre-notice, the car accelerated at high speed, finally hitting a tree in our garden 30 feet from the driveway. Such was the impact that the car has been declared a write-off. The Gold was purchased in 2010 was recalled in 2014 for changes to the gearbox oil type. This issue was well documented at the time. My local VW garage has indicated that no issues have been reported subsequent to 2014 and that the change of gearbox fluid was considered successful. Looking back at online correspondence, the DSG gearbox was a huge issue. I enquire whether you have been made aware of subsequent DSG gearbox issues subsequent to the 2014 recall? The Insurance Company has declared the Golf a write-off with the cost of repairs exceeding its valuation. The car had been regularly serviced annually by VW under their car plan scheme. The VW Service Manager has stated that he is not aware of any problems with the DSG gearbox subsequent to the 2014 recall. My Insurers’ claims handling body has agreed to have the Golf stored whilst I make enquiries. Clearly this is a temporary measure. You should be aware that following unusual noise issues during the first 6-months of our purchase, VW Passenger Cars, based then in Sheffield, were prepared to replace the vehicle at a cost to me. Hindsight is cheap but I did not take-up their offer. I seek please any information you may hold which indicates continuing DSG problems. The Golf Mk VI is the most complained about car ever recorded: /carbycar/ford/fiesta-2017/ But fault remains with your wife because if she had been driving the car two footed: left foot for the brake, right foot for the accelerator, she could have stopped it instantly and there would have been no damage. It's just another case of misguided driving instructors teaching automatic drivers to "forget your left foot". This actually kills about 100 people a year (including a former driving instructor). No one is ever fully in control of any automatic vehicle unless they left foot brake. Anyhow, don't cheapskate on the Timing Belt, get it done on time with the Alternator Belt at 5 years. I've also declined the "Emissions Fix" which VW has told me is voluntary. Two points; I had the cambelt changed three times on my wife's Zafira at the recommended intervals. Never had the water pump replaced each time and never had an issue with overheating or failed water pump. Car was sold at age 14. Secondly, when I recently sold my Z4 auto, I told the guy to teach his partner how to left foot brake especially when parking or reversing. It is amazing the number of people who claim their automatic suddenly accelerated. I was saddened that the old lady who killed someone in similar circumstances was able to con the jury it was the car's fault even though the manufacturer found no fault with the vehicle. Ref Is my driving style to blame for damaged brake pads and discs? 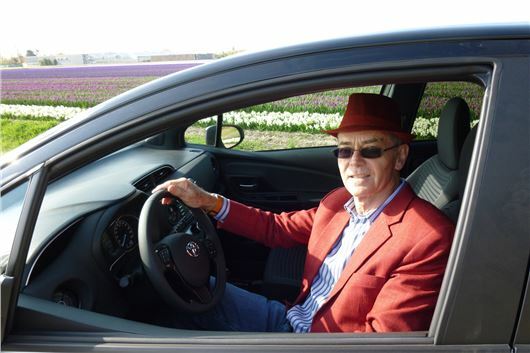 This senior driver has concerns about brakes and asks if his driving style might be relevant. HJ suggests hard braking in mornings to scrub of rust. Driver then says he goes down through the gears to slow down, as he was taught 40 years ago. But no response about this ancient slowing down technique - unnecessary, potentially unsafe (engine braking is only via driven wheels, normally just front or rear two wheels - as opposed to using brakes, acting on all four wheels and designed to slow the car down) and effective in wearing out the clutch. This method has not been taught in decades and I'd suggest joining RoSPA or IAM local group, or any ADI to get driving up to date. Improve skills and confidence, be safer. I reckon the advice to drivers of automatics to brake with the right foot relates to the possibility of also driving manual cars. If you sometimes have to drive a manual, the mental confusion and consequences of trying to brake with the left foot can be extremely disturbing! Another point is that with some electric cars, if you're a left-foot-braking devotee and you're manoeuvering in a car park and happen to press the accelerator and brake at the same time, the car can go into a kind of "panic" mode and will then refuse to move for a few minutes. This can be highly embarrasing, even if not dangerous!